What have I been up to the last few days? Well, I haven't been working on the 120-page summary that I need to pass the 100% final I have tomorrow, but I do have a spiffy sock to show. 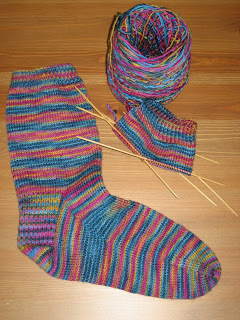 After having made it through the first sock and a bit, I am still wavering between loving them and being a little meh about them. Despite my ambivalence, I'm enjoying how quickly these are coming along and am more amused than I should be by the way that the yarn is pooling at different points along the way. I tried to fancy them up a bit by deviating from my usual recipe and adding a 1x1 twisted rib cuff and an eye of partridge heel flap (in case you're wondering why the cuff is biasing). The yarn is Lightweight STR in a colourway called Jewel of the Nile (the above photo being a pretty accurate representation of the colour). 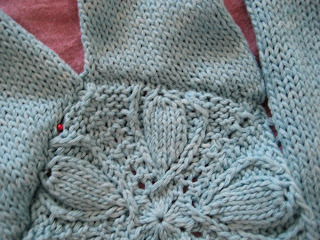 Progress on the Sand Dollar Pullover has been slow. 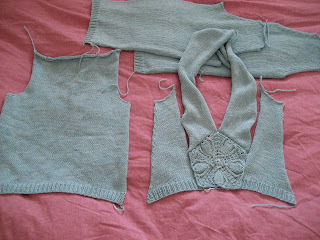 Here's a photo of all of its parts, with the front pieces laid out to illustrate how they're supposed to come together. Everything has been blocked and the seaming has begun (meaning that of the 11 seams that must be sewn, one has been finished and one has been pinned). I'm still a little worried that things are not going to fit together quite like they're supposed to, despite my careful measuring. 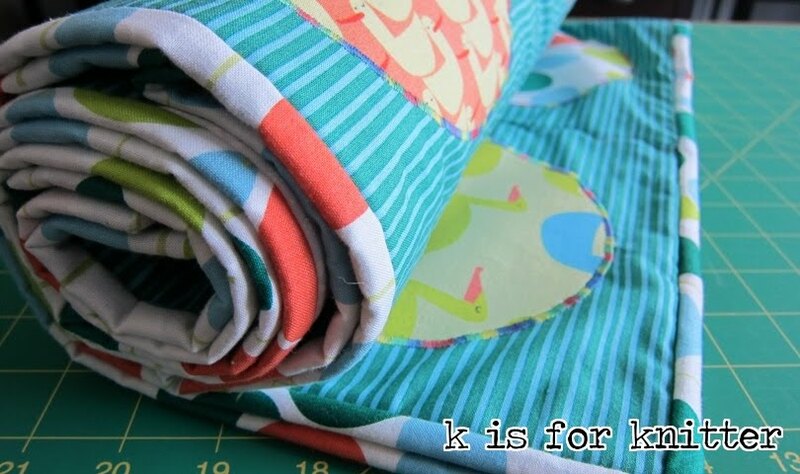 This is a closeup of the seam that has been finished (click to big-ify). Although it looks a little lumpy (nothing a good blocking won't fix), I'm pleased with the result. Now to make friends with the Canadian Income Tax Act and finish studying for my last law school exam, and possibly my last academic exam ever. Posted by Amanda at 11:35 a.m.